I went into this novella with literally no background, except a small blurb. 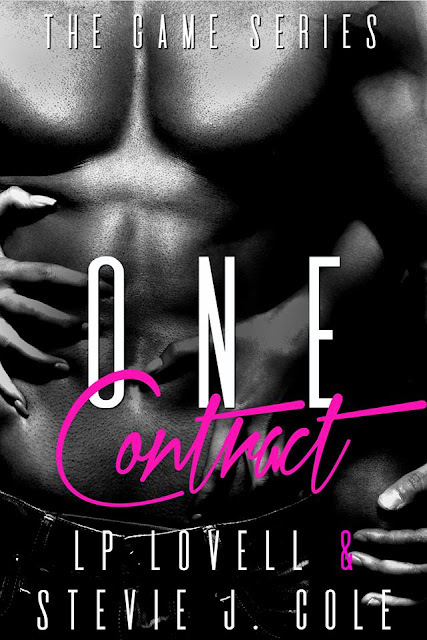 “One contract. Two Guys. Three Players. Four strikes. Five rules. Six figures. Seven days. No safe words. 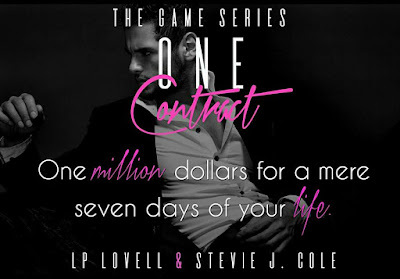 Are you game?” Talk about intriguing! I wanted to read this on that blurb alone. 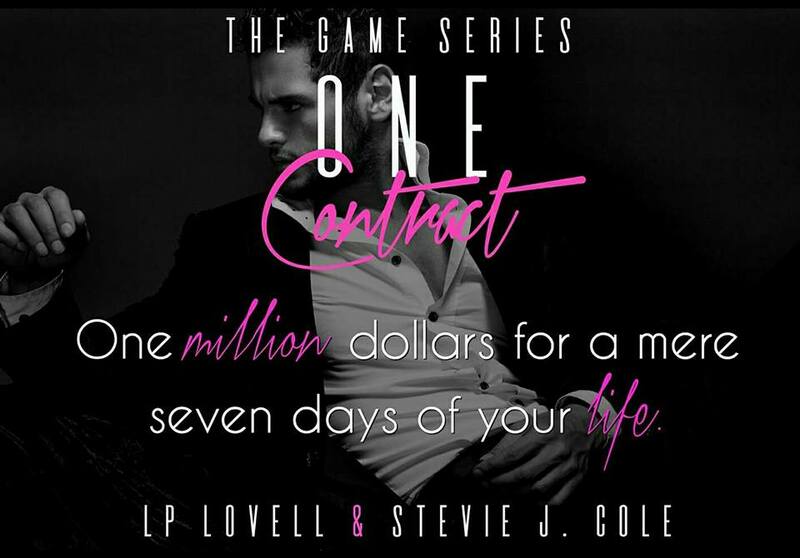 In the first book of this new novella series, One Contract, by L.P. Lovell and Stevie J. Cole, we meet Ella Taylor. She has hit rock bottom. Her boyfriend left her, she lost her job and the bills and notices are piling up. If something does not change soon, she will be homeless. 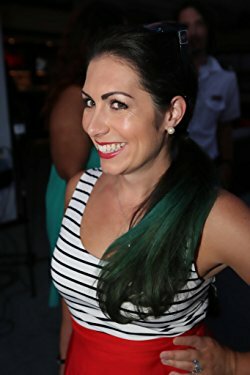 Then one day she gets an invite of sorts to interview with Tobias Benton, CEO of a very successful social media platform. She does not know how she got this interview, but she is set on getting this job. It’s her last chance to turn things around. The interview was very strange and left her unsettled, but she gets a call-back, albeit a strange one. She is to meet Tobias at an address to be provided. Upon arrival, she is met by Tobias Benton and Preston Lucas. And they have a proposition for her she wants to refuse, but cannot walk away from. This can save her and give her some breathing room. They offer her a contract to play a game. The game? Though details are not completely provided, the expectation is total submission for seven days, with five rules and four strikes. She knows what this will make of her, but she needs this. To top it off, she feels drawn to both men. Their looks, touches and desires make her wild. Can she submit and do what they need and want? This was a nice surprise. The authors draw us in with a bit of suspense, desire and some very hot steamy scenes. Who are these guys and what are their true motives? 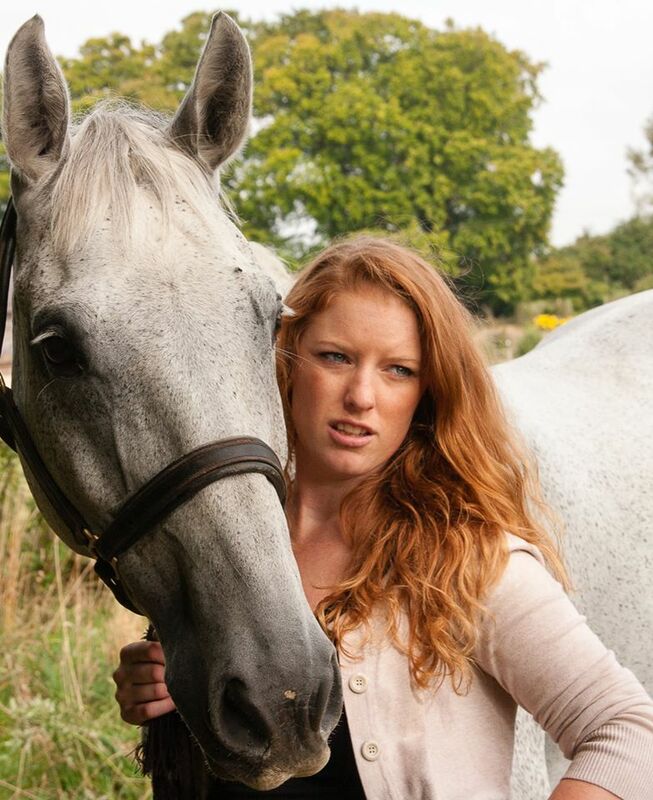 How far will they push Ella and will she come out of this unscathed? Definitely worth the read. I am looking forward to the next book to see how far this game goes. I was captivated but what we were given in this first book and the three characters. Nothing is as it seems and I cannot wait to start uncovering their truths.